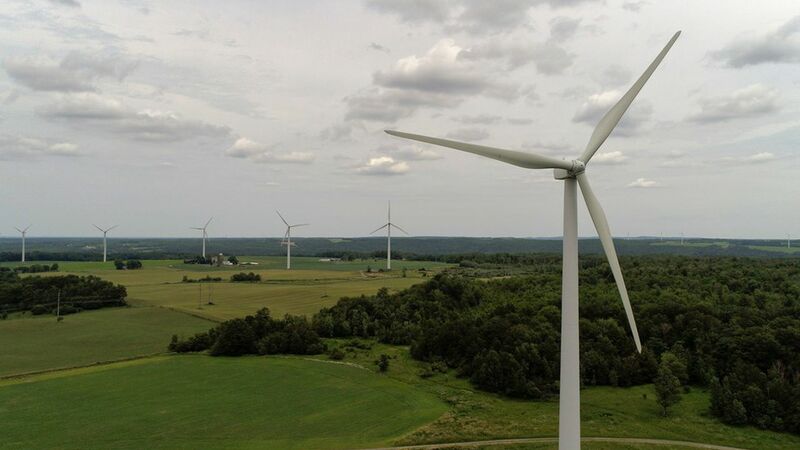 A group called New Energy America is launching today that will promote renewable energy industry jobs in rural regions nationwide, Axios has learned. Why it matters: The group, which is funded by renewable energy companies, could influence lawmakers in red-leaning areas amid policy battles that affect wind, solar, biofuels, and other sectors. "The point is to make sure there is accountability in places where clean energy jobs are growing, but elected officials are voting against policies that can support the growth of clean energy," a source familiar with the group's planning tells Axios. Who they are: Mike Carr, who was a senior Energy Department renewables official under President Obama, is the executive director. Kendra Kostek, who was an aide to Hillary Clinton's presidential run, is director of public engagement. Advisory board members include former longtime California Democratic congressman George Miller, who chaired the House Education and Labor Committee; and Jon Powers, co-founder of the solar investment firm CleanCapital and was the federal chief sustainability officer under Obama. Opening move: They're releasing a report today that provides a state-by-state tally of jobs in fossil fuels versus renewable power sources like wind and solar, biofuels and energy efficiency. It finds that these "clean energy" and efficiency jobs combined already outnumber fossil fuel employment in 41 states. They're also likely to engage at the state level on topics such as proposed legislation in California to transition to all-renewable power in coming decades; state-based renewable power mandates and more. The push in rural areas and red states will involve grassroots work as well and digital and earned media campaigns, the source said. "The electricians installing solar panels, the welders building wind turbines, and the truck drivers delivering biofuels all benefit from policies that promote clean energy, and we're here to tell their stories," Carr said.